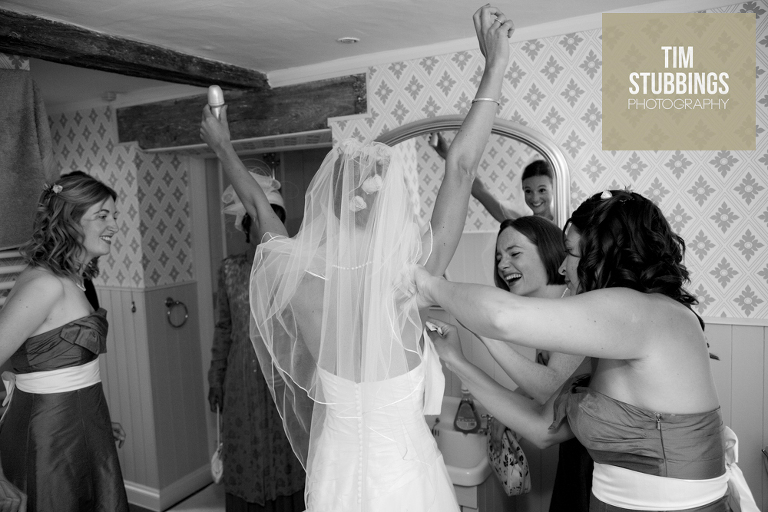 I’ve often described documentary wedding photography as being the equivalent of having the backstage pass at a gig. It can literally be access all areas. Whilst it’s a privilege to be given entry to a family’s life for such a momentous occasion, with that comes a huge responsibility. Some documentary photographers / documentary wedding photography interpret that as being completely in the the shadows and I follow this most of the time. It’s about being discrete, unobtrusive and watching for the moment (usually before it’s about to happen). Sometimes though you can’t expect things to happen perfectly in front of you. Sometimes moments needs a nudge to let their own momentum gather pace again. That’s part of our job too. Spotting the best background, the most pleasing light, but then creating the space for real things to happen. This mixture of the creative and documentary is the style that I have evolved for a number of years of photographing weddings in Kent and across the UK. It you’re getting married in Kent or further afield I’d love to talk to you about it. There’s a video clip below of some of my work but you can also find me on Facebook.